I’m a Boomer. Lately, I’ve been thinking more and more about my retirement plans. I wasn’t sure if others in my age group shared my concerns, but I found out I’m not alone. 1. Most Boomers don’t think they have enough money to retire. From the results of a recent survey, AARP reports that over 72% of Boomers expect that they will have to delay their retirement, and 50% of Boomers don’t believe that they will ever be able to retire. According to survey by the Insured Retirement Institute, only 27% of Boomers are confident that they will have enough money to retire. What’s alarming is that this is down 6% from 2013 and 10% from 2011. Concern is fueled by the volatility of the stock market and lack of confidence in the future of Social Security and Medicare. 2. Single Boomer women are worried about their current debt. According to AARP, 48% of Boomer women under 65 feel uncomfortable about their current debt. By comparison, only 15% of men are concerned about their debt versus 21% of women. Their concerns stem from statistics that show women earn less, live longer and face higher healthcare expenses after retirement. Also, women will receive lower social security benefits than men. According to AARP, older women who have been laid off often find it hard to get rehired. 3. Few Boomer women have enough saved up for retirement. Few Boomers have actually sat down to figure out how much income they will need in retirement. Surveys show that even fewer know how much saving they need to produce sufficient income. Still, among those who know their status, financial uncertainty looms. For example, a 2015 DMN3 survey of Baby Boomers found that 46% report having retirement savings of $25K or less. Unfortunately, single women have a significantly smaller retirement nest egg than their married counterparts. The DMN3 study also found that 5 out of 10 Boomer women already work or plan to work part-time in retirement. Many Boomers have realized they may not have the retirement income they need. Consequently, they are already downsizing their lifestyle. 4. Boomers expect to live longer. Experts suggest that many Boomers feel as much as 15 years younger than their counterpart a generation ago. Boomers look at "old age" as between 78 and 80 and expect to live to about 86. A couple of years ago, government statistics were reporting that the life expectancy of a current 60 year old would be 84. This means that if a Boomer retires at 66, they will need to have savings and generate income for about 20 years. 5. Boomers don’t think they have complete control over their health. According to the Center for a Secure Retirement, 65% of Boomers believe their health will be mostly determined by heredity. The survey continues to say that 46% of Boomers believe their health can be controlled by diet. About 45% believe that their health can be controlled by exercise. Many Boomers are joining health clubs, so they exercise regularly and are switching to organic foods. Nearly four times as many Boomers report that they worry more about their health than about finances or outliving their money. Their concern about their health is driven by the rising costs of healthcare. 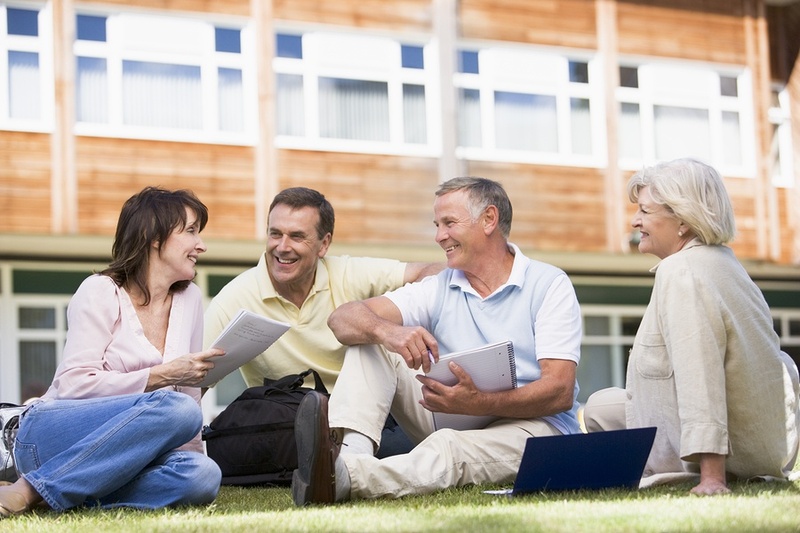 Financial concerns are keeping Boomers from retiring 65, unlike previous generations. Single Boomer females are the group most affected by financial insecurity. Many of them are already in debt and have had lower incomes that lead to lower social security checks. Boomers are trying to stay healthy because they are concerned about the rising cost of healthcare. Since Boomers are concerned about their future, they are looking for ways to cut their daily living expenses. They are shopping for healthier foods, working out to stay fit, and looking for ways to control the cost of their healthcare. Don’t leave Boomers out of your marketing plans—they are still very active in the marketplace. But it’s important to keep their financial realities in perspective when selling to older consumers.